The Ritz-Carlton Hotel Company, L.L.C. 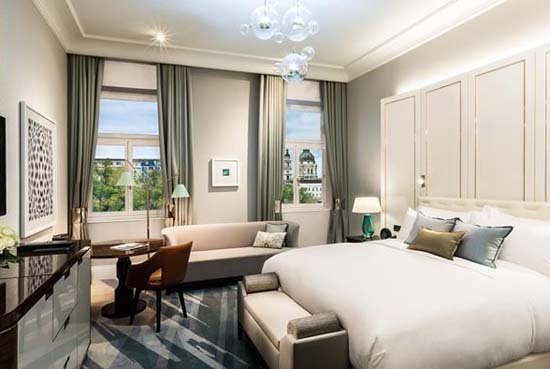 revealed its first hotel in Hungary today, with the much-anticipated opening of The Ritz-Carlton, Budapest. Located in the heart of the cultural and shopping district, the property is literally on the doorstep of Budapest's heralded historic sites and minutes away from the glittering Danube River. "It is an absolute privilege to open the first Ritz-Carlton hotel in Hungary" said Herve Humler, President and Chief Operations Officer, The Ritz-Carlton. "The Ritz-Carlton service standards are globally recognised and we're delighted to bring them to a new market. Budapest is an extraordinary city and perfectly placed to welcome the newest property in our portfolio". There are few cities in the World that can rival Budapest's setting, history and culture. As separate towns of Buda and Pest until 1873, each side of Hungary's capital still retains a unique atmosphere and identity. Whether guests choose to wander the meandering cobbled streets of the World-Heritage listed Buda Castle district, take to the rejuvenating water from one of the city's many thermal springs, or simply enjoy tasting the renowned Hungarian cuisine and wines, Budapest maintains its hold as one of Europe's most alluring cities. The Ritz-Carlton, Budapest, is housed within a protected historic building, located on Elizabeth Square, with views over St Stephens Basilica. Constructed in 1914 as the headquarters for an Italian insurance company, the building has seen many incarnations, but today it opens as a luxury property with 170 elegantly appointed rooms and 30 suites. Whilst many of the building's original architectural details have been retained, including elegant statues on the exterior walls, the interiors offer guests a spacious and relaxed contemporary environment, inspired by the cool colours and swirling water of the Danube River. The Ritz-Carlton Club Level is situated on the 8th and 9th floors of the property, allowing guests an elevated experience and an additional sanctuary, with dedicated concierge, plus complimentary food and beverage presentations running throughout the day. 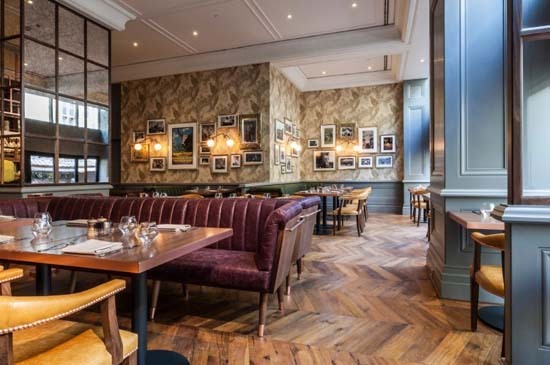 two new restaurants and a bar to the Budapest scene, the unrivalled Deak Street Kitchen provides a relaxed and atmospheric environment. It serves a variety of Hungarian-inspired dishes, created using local seasonal ingredients, and freshly grilled meat & fish, alongside one of the city's finest selections of indigenous Hungarian wines and beers. With an elegant outside terrace overlooking vibrant Fashion Street, with its designer stores and colourful market, it provides the perfect location to people-watch, whilst enjoying al fresco dining. 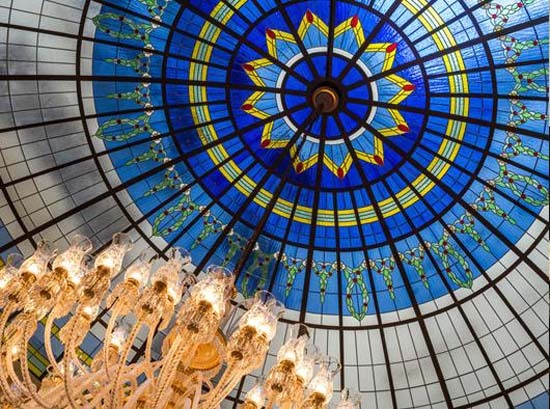 The Kupola Lounge, situated beneath the building's iconic stained glass cupula and grand crystal chandelier, is ideally placed for a leisurely farmer's market breakfast or light lunch overlooking the hotel lobby. The Ritz-Carlton, Budapest, also houses a fresh, contemporary bar. 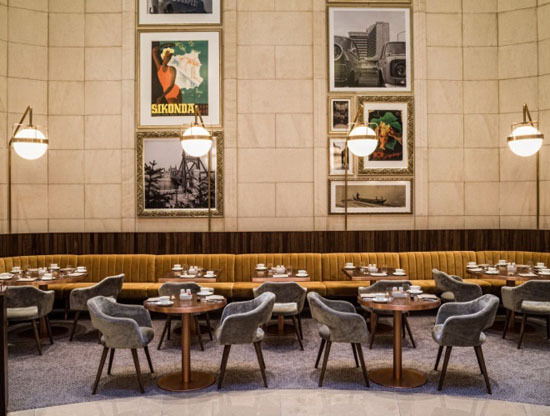 ; Combining sleek finishes with the building's uncovered original architectural columns, the Kupola Bar focuses on serving innovative cocktails in a metropolitan, sophisticated ambiance. The property's facilities are completed with the ballroom, situated on the lower ground floor. Seating 180 people and the perfect new Budapest location for milestone celebrations, it is adjacent to five flexible meeting rooms, which combine contemporary interiors with state of the art technology. The Ritz-Carlton Spa and Fitness Centre flooded with natural light on the top of the building, creates an unrivalled haven for guests to unwind, recharge or simply escape. This urban spa, with indoor pool and three treatment rooms, offers a full range of beauty and body therapies, including The Ritz-Carlton signature treatments, and sits alongside a professionally equipped fitness centre, which remains open 24/7. "The'Pearl of the Danube', Budapest is perfectly located as the European gateway to travellers whether coming for business or leisure," continued Herve Humler. "But not only are we looking forward to welcoming our guests and sharing our vision and service standards; we are also excited to become an integral part of the thriving, vibrant city itself". Its purpose is to promote the awareness of quality excellence, recognize quality achievements of companies and publicize successful quality strategies. The Ritz-Carlton Hotel Company won the award in 1992 and 1999. For more information, or reservations, contact a travel professional, call toll free in the U.K. 0800 234 000, or visit the company web site at www.ritzcarlton.com. The Ritz-Carlton Hotel Company, L.L.C. is a wholly-owned subsidiary of Marriott International, Inc. (NASDAQ). Artikel ini telah disediakan oleh GHC Asia bagi pihak The Ritz-Carlton Hotel Company, L.L.C. Diterbitkan menerusi Media Outreach. Boleh. Saya dah banyak kali terbitkan, dan dapat bayaran pun.